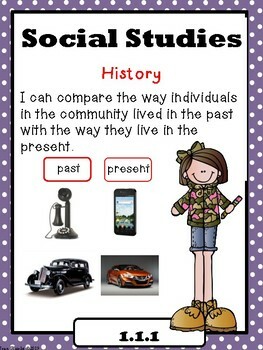 Indiana 1st Grade Social Studies Standards "I Can Statements"
These posters are created for Indiana Standards for 1st grade Social Studies. They are written in the "I can...." format. 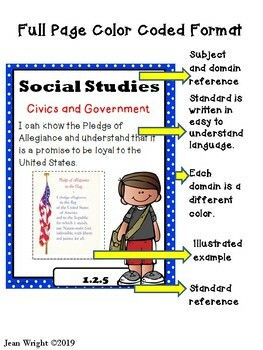 Written on full size pages, they may be used to post in the classroom to communicate to students what they are expected to know and be able to do. The illustrated examples provide an effective way for students, teachers, administrator, and parents to know what skills students are expected to master. 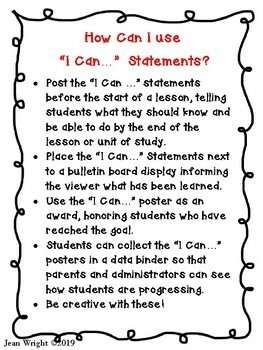 Save time using these posters on your standards wall rather than writing them and changing them each day. Posters are color coded for easy reference. Laminate the posters and they will last for years to come. Download the preview to see examples in all 4 of the domains. 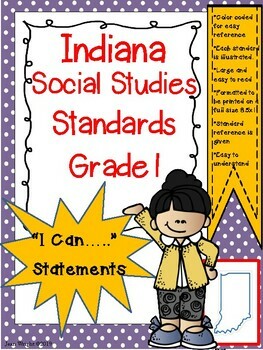 This resource is intended to be used with the Indiana Standards only. This resource is not to be used for any other state.